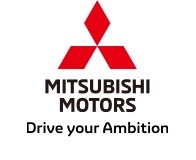 BANGKOK, Nov 9, 2018 - (JCN Newswire) - Mitsubishi Motors Corporation(MMC) today announces the world premiere of the new TRITON/L200 1-ton pickup truck in Bangkok, and is to start sales in Thailand on November 17. The New TRITON/L200 is the latest version of a model which is celebrating its 40th birthday this year, and is produced at the Laem Chabang Plant operated by Mitsubishi Motors (Thailand) Co. Ltd. (MMTh), MMC's producer and distributor in Thailand. 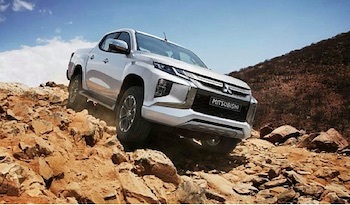 On the occasion of the world premiere, Mitsubishi Motors CEO Osamu Masuko stated: "The New TRITON/L200 is one of our most important global strategic models. Its success will accelerate the momentum of the company's sustainable growth.. The new model brings enhancements to the durability, reliability and comfort developed over the 40 years since the introduction of the series. "I am fully confident the New TRITON/L200 will meet the diverse needs and wishes of our customers around the world." The New TRITON/L200 has been developed to embody the Engineered Beyond Tough keyphrase which underlined its creation. Elements making it significantly more competitive include: more powerful styling that incorporates the latest iteration of the Dynamic Shield front design concept; an enhanced 4WD system that delivers improved off-road performance, and the latest in active safety and driver assistance systems. Overall, the new model features significant refinements to the durability and reliability required by the commercial user and to the comfort and ride sought by the private user. The New TRITON/L200 a revitalized design under the concept "Rock Solid" that embodies, both inside and out, the full essence of its "Engineered Beyond Tough" development keyphrase - a toughness fully underpinned by engineering prowess and knowhow. The front face incorporates the new-generation "Dynamic Shield" front design concept. The high engine hood line and beefier-looking lamps located higher up give the new model a more powerful and imposing front face. Newly sculpted body curves with contrasting sharp lines, extended wheel flares and bright accents embody the strength of a Mitsubishi Motors' truck and add modernity. The lighting and bumper parts become part of the tough design, framing the front and rear designs and adding visual width. New TRITON/L200 4WD models are fitted with either Super-Select 4WD, which delivers optimum traction and handling characteristics for any given surface, or Easy-Select 4WD, which simplifies switching between drive modes for different road surfaces. With the addition of new drive modes, both 4WD systems deliver improved off-road performance. New TRITON/L200 retains the current model's high-durability, high-reliability ladder-type frame and high impact-safety cabin structure while featuring class-leading advanced active safety and driver assistance systems. - Ultrasonic Misacceleration Mitigation System (UMS) which reduces accidents resulting from improper use of the accelerator when moving off or reversing in car parks and other confined spaces. Providing convenient driver assistance are the Multi Around Monitor, which generates a bird's eye view image of the area around the vehicle, and Parking Sensors. The New TRITON/L200 features many detail improvements, directed by the Engineered Beyond Tough development keyphrase, to the durability and reliability sought in commercial use and to the comfort and ride sought in private use. Following its start of sales in Thailand on November 17th, the New TRITON/L200 is scheduled to be rolled out sequentially in the company's markets in ASEAN, Oceania, the Middle East, Europe, Africa and Latin America, eventually going on sale in some 150 countries around the globe. MMC plans to sell some 180,000 units of the new and current models this fiscal year. TRITON/L200 is a core global strategic model and is MMC's second biggest seller, following Mid-size SUV Outlander in the MMC lineup last fiscal year.